Pavan Sukhdev who is president of WWF International has written to Australian Prime Minister Scott Morrison urging him make a firm and urgent commitment towards taking effective action to stop the rate of deforestation in the country. In his letter the WWF International President highlighted his concern for the New South Wales Koala population which the conservation group says could end up extinct as soon as 2050. Mr Sukhdev says Koalas face the same kind of extinction risk now being experienced by orangutans. He adds that the deforestation rate in Australia is relatively high for such a developed country and as a result the risk that species which depend on those forests for habitat become extinct is equally high. Deforestation in New South Wales has resulted in the koala population fall by a third over the last two decades, with a population now estimated at 20,000 in the state says WWF. Conservationists estimate that more than 100,000 orangutans have died as a result of deforestation which has occurred in Borneo over the last two decades. Mr Sukhdev says that the international community is keeping a close eye on Australia’s response. The country has a wide range of issues that it needs to deal with very quickly because people and conservation groups globally are watching very carefully. Australia is expected to show leadership in this particular area. The Australian government says it has drafted a koala recovery plan that will be released by the middle of the year for a three-month consultation period following which the plan will be finalised by the end of the year. However, the problem is State governments are responsible for land clearances and any reform of state law falls under the purview of the state government. In 2017 New South Wales repealed the Native Vegetation Act generating huge backlash from conservation groups. 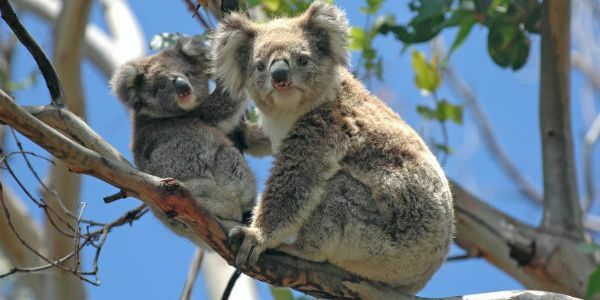 A spokesman for WWF Australia at the time said koalas cannot be saved if their homes are being bulldozed. Climate change has an enormous effect because it causes bushfires and drought. The least expensive and most effective conservation measure is for state and federal governments to pass laws that prohibit clearing of land that is part of koala habitat. WWF Australia hopes that NSW and Australian federal politicians have the will to save the koala so they can look back on the legislation and see it as part of their political legacy.